If The Hangover Part III is “The epic conclusion to the trilogy of mayhem and bad decisions,” it only makes sense for it to take place in “The Capital of Second Chances.” Not much has really changed with three-fourths of the Wolfpack members since their last adventure in grungy Thailand. Doug (Justin Bartha), Phil (Bradley Cooper), and Stu (Ed Helms) are all fully adjusted to marriage life, effectively putting the bad choices, memories, and shocking happenings behind them. The last fourth of the Wolfpack has undoubtedly lost it (did he ever have it?). Alan (Zach Galifianakis) has just killed a giraffe, and is increasingly irascible as a result of being off of his medication. After a argument with his father leads to his father’s death, everyone agrees that Alan needs to go into rehab, which Alan agrees to only if the gang drives him to the facility in Arizona. What is to be a smooth ride turns into another mess, as the three are kidnapped by characters connected to their past. They are set free, but to survive, they are going to have to reunite with another character from their past in Mr. Chow (Ken Jeong), who has just escaped prison and is the key to setting things straight. When the mid-credits scene might very well be the funniest thing in the entire film, which is supposed to be a comedy, said film has a huge problem. The Hangover Part III has that problem, to the point where the viewer may very well wonder whether it is even a comedy at all. In many ways, it runs the gamut of genres of everything but comedy. Whatever it is, even a drunken stupor will likely not be enough for a viewer to enjoy this one. With the complaints many had about the second one being a carbon copy of the first, some credit has to be given to franchise writer (of part 2 & 3)/director Todd Phillips for trying to flip the script and offer something different than what came before. 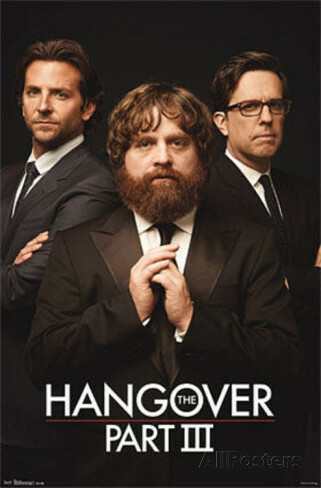 That said, it is very puzzling to have ‘hangover’ in your title and not use one in your movie. And if you don’t use one, you better be able to deliver the comedy. At the very least if this new direction is taken, rename it to The Hangover III: We’re Sober B***hes!, or something, anything to note that this is a different direction taken. What ends up being really odd is how “straight” Part III is presented. It is possible that if one knew absolutely nothing about the trilogy and III served as the entry point, there would be a strong likelihood that this would be seen as a light action and thriller before a comedy. Decapitating a giraffe and breaking dogs’ necks after sedating them comes off as a lazy attempt at humor. There are lines that hit here and there at the beginning and the end to make a viewer remember that this is in fact a comedy, but the middle could be right at home in any generic crime thriller, with less polish to boot. 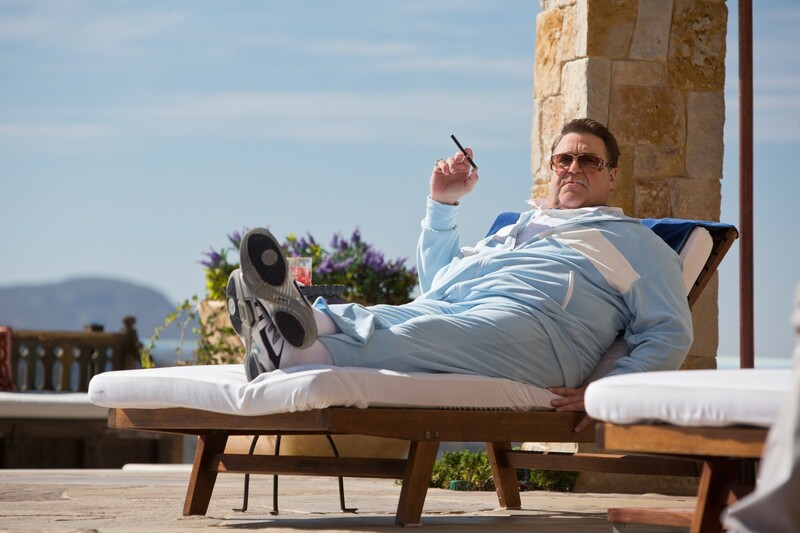 Hearing John Goodman’s crime boss character essentially describe the plot of why the foursome are in the predicament they find themselves in sets the tone, in a bad way, for the majority of the rest of the movie. Every franchise cannot be The Fast and the Furious and reinvent itself a few films in, staving off the inevitable sickness known as franchise fatigue that sinks its teeth into just about every film series that has at least three installments. Not only does the writing and overall cinematography appear uninspired, so does the work of key stalwarts Bradley Cooper and Ed Helms. Whether they knew this was going to be underwhelming from the start of filming or just decided to mail it in regardless after the second, both give performances that are equivalent to that of a high-priced free-agent in sports (especially in the case of Cooper), understanding that they are contractually obligated to complete the string of their deal, but knowing they are bolting when it expires. Maybe by choice, or sensing two of his four stars less than enthused to be there, Phillips decides to beef up the characters of Alan and Mr. Chow. The results are honestly pretty disastrous. 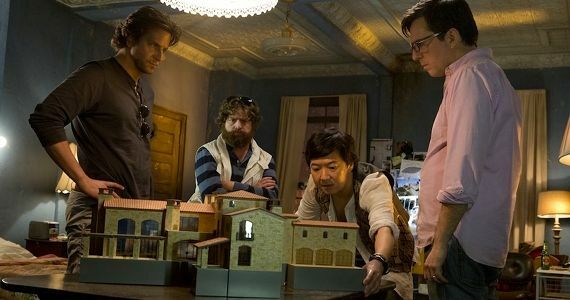 In carefully measured doses, Galifianakis and Jeong’s over-the-top, off-kilter characters are the perfect contrast to the relatively even-keeled rest of the Wolfpack members. Since two however, both have become more abrasive and unlikable, effectively removing most of the pleasure that existed previously. It would be one thing if The Hangover Part III were more of a ensemble effort, but in reality this is a story revolving around Chow and Alan with everyone else pushed to the background. They’re the two best friends that anyone could have, but that doesn’t mean an entire script should be focused on the duo. Not as dark as two but not as funny as its predecessors, it is for the best that The Hangover Part III is the end. It is time to get sober. Don’t feel bad for turning your back on the Wolfpack. Photo credits go to allposters.com, cinema.theiapolis.com, aceshowbiz.com, and screenrant.com. Why do we have always have to sully a solid first movie with increasingly dismal followups? Money good sir, money. Thanks for reading! ‘The Hangover’ was a one concept film, the poor sequels didn’t surprise me! Money talks, but there was no need at all for a 2 or even a 3. At least this is the end. Couldn’t agree more dude. Hangover Part 3 was hard to get through for me. Yes! As soon as the plot was being told by Goodman, I knew this was gonna be terrible. Sad. I know they already are in production, or at least greenlit 23, but I think after those glorious end credits in 22 that is a nice place to end the series. But money, I’ll still watch though lol.